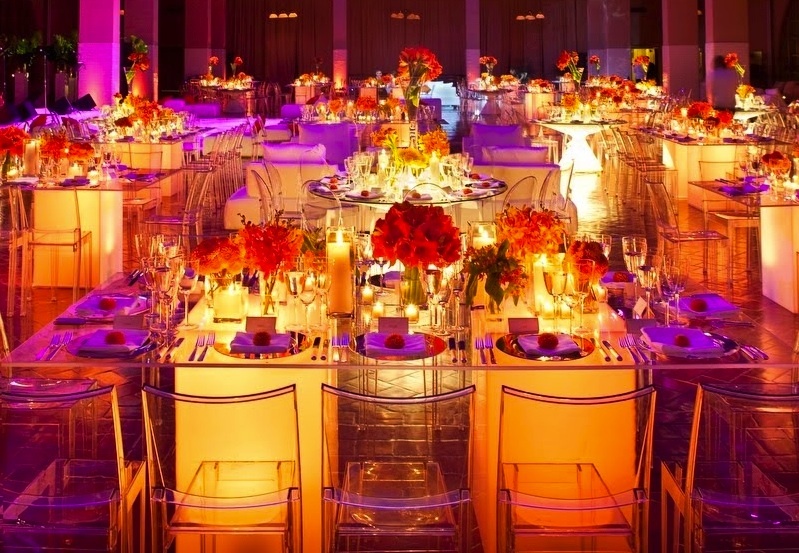 Set the mood at your reception with ultra romantic, super flattering, luscious lighting. An addition to your wedding budget, but definitely, definitely worth the investment! Image via Taylor Creative Inc.
such a great idea, this looks so chic but also fun!